"Add lots of hard-work to your talent, be self-determined and the impossible will become possible". An enthusiastic and dynamic professional underpinned by a passion for Sports. Privileged with a diverse cultural awareness gained through a unique mix of international experiences and equipped with a strong background in project management, brand activation, experiential marketing, event management, human resources, entrepreneurship, video production, sales, and client servicing.. In quest of my passion, I am seeking challenging opportunities in the sports business industry. Ensuring full and optimal utilization and brand activation of all of Saudi Telecom Company’s (STC) sports rights and assets, currently valued at $41.2 million. Managing end-to-end operations with world-renowned clubs (Manchester United F.C and Real Madrid C.F.) and all involved 3rd parties. Playing a key role in the 31% increase in STC's ROI on their sports investments. Creating and managing a season-long rights utilization tracker. Responsible for full year projects budgeting - with budgets up to $6.5 million. Creating and implementing project-based strategies, policies, and procedures. Managing the planning and execution of over 150 B2B and B2C conferences and hospitality trips. 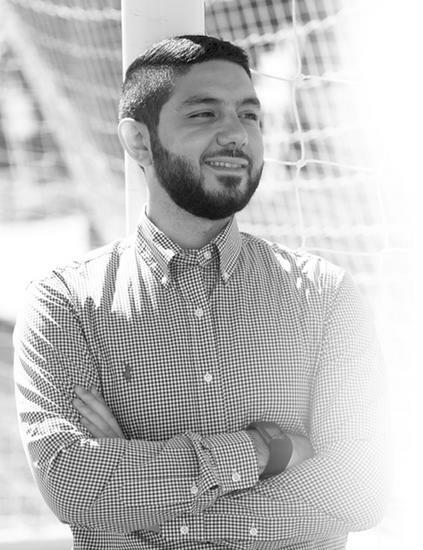 Project Manager for MENA's largest grassroots program in partnership with SAFF (Saudi Arabian Football Federation), Manchester United F.C, and Real Madrid C.F. Directing STC's Youtube show for their grassroots program " Eish Al Tahadi ". Assisted in planning and executing STC's full year sports campaigns. Collaborated with the planning, creative and account management teams to ensure effective operational procedures. Coordinated day-to-day expenditures and reported all financial matters. Negotiated deals, finalized sales and followed up with customers for feedback. Consistently met and exceeded sales targets. Ranked 8/225 employees (E. Ontario) in sales after only 90 days of appointment. Generated revenue streams by acquiring sponsors and activating sponsorships. Organized 5 sell-out events in a 500-seat theatre. Harnessed social networking to drive awareness and enhance fan engagement. Coordinated multiple aspects of event planning, talent acquisition, resource allocation and budgeting. Created and implemented operational procedures throughout the company. Manchester United's Letter: An appreciation letter from the club to honour my efforts (link). Entrepreneurship: Co-founded a successful theatre productions company during university. Inspiring the youth and serving the community: Leading STC's 2015,16, 17 & 18 grassroots program, and inspiring 20,000+ kids across all the regions of KSA ( link). Live TV broadcast: Assisted in the Live TV production of a match at the Santiago Bernabeu (link).